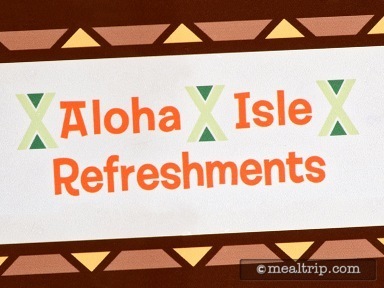 The Aloha Isle Refreshment stand has just moved. It has magically been transported to where the Sunshine Tree Terrace had been located, just behind "The Magic Carpets of Aladdin" attraction and next to the Enchanted Tiki Room. 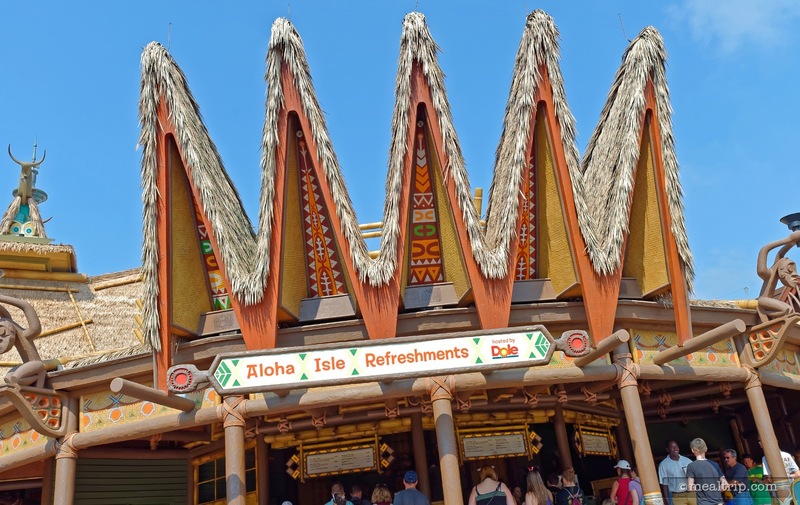 Known for it's Dole Whip treats and fresh-cut Pineapple Spears the guest favorite receives a lot of foot traffic. There has never been much seating around Aloha Isle, and that still remains the case. However there is seating around, if you are willing to walk a bit. A least the second hand smoking area is now far, far away from our beloved Dole Whip Floats. This general area will be receiving a bit of a makeover in the coming months, and it looks like this move may have been made so that Aloha Isle could continue to stay open, as this new location is just on the edge of the area that is being refurbished.